I have not been ballet-ing. Nope. No ballet for at least 7 days. What I have done was vacation with my family. It was wonderful. Fun. Sun. Tanning these buns. A much needed escape from my everyday life and responsibilities. I was so far removed while in Florida I didn’t even take an impromptu “ballet pic”. Sorry. I just didn’t feel the need. However, there was a en pointe moment or two. I have to be true to myself! 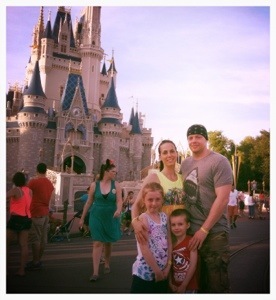 Attached are some pictures of me and my family on our much needed vacation. Hope you all are doing well. 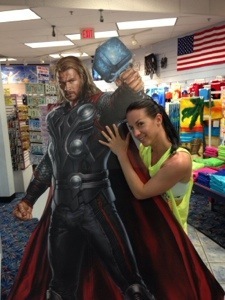 This is me and Thor. He was there, I was there. We decided to take a humble pic. Ha! 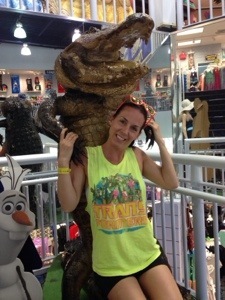 This is me getting (happily) attacked by a gator. Any questions? I think not. 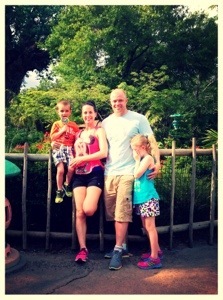 This is my family at Animal Kingdom. Note the unhappy daughter. Yes, it was an eventful day, but she is my mini-me. Love her!! 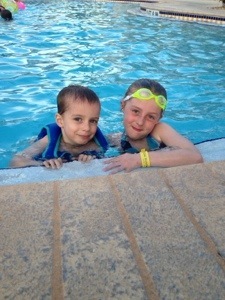 Kids at the pool. This is all that really matters to them.